If you are looking for a reputable and well established garage door installation company then you can be rest assured you have come to the right people. We work with all the leading manufacturers so we can provide you with an unrivalled choice of garage doors. Whatever your preference and budget may be, we will have something to suit you and your home perfectly. 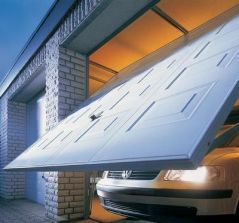 We install every different type of garage door there is available and our workmanship is second to none. Our range includes both manual and electrically operated doors – why not get in contact to see how we can help you. Not sure if you want a timber or steel door? Why not have a look at our materials page to find out more. Below are some of the main brands that we use but more are available, so please contact us to discuss your individual requirements. In the market for construction components, more and more gates, doors, frames and operators carry the Hormann name, making Hormann Europe’s leading provider of such products.The original is simply the best: quality and security, appearance and convenience – and advanced technology. Each Hormann door contains the expertise from over 50 years of building garage doors.With around 20 million doors sold worldwide you can be sure Hormann is a brand name you can trust. Garador Limited has the most advanced garage door production facility in the United kingdom. Officially part of the Hormann group, Europes largest garage door manufacturer, Garador are manufacturing to the highest level of quality and reliability. 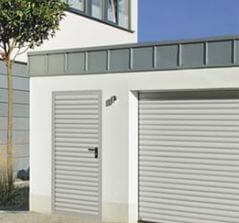 Garador offer a complete garage door range along with operators and entrance doors. Garador supply a wide variety of door types including sectional doors, side-hinged doors and traditional up and over garage doors, all available in a variety of materials, including steel, timber and GRP, with a complete range of standard and special sizes and colours. 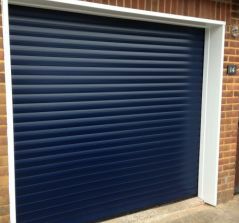 Aluroll is a leading UK manufacturer of high quality roller garage doors and security shutters. They have been manufacturing roller shutters in their Shropshire factory for over 30 years, with an annual turnover in excess of £15 million. Aluroll are serious about service, they do not rely on third parties between order and delivery. They invest continually in operational processes and delivery capabilities, allowing Aluroll to provide an efficient and flexible service. Aluroll is quality assured to ISO 9001 and all products are CE Marked. They continually strive to ensure that all products comply with the latest European health, safety and environmental protection legislation. By volume Alutech are one of the largest manufacturers of roll formed aluminium profiles in Europe as well as one Europes largest manufacturers of sectional doors. Founded as a small family run business in the mid 1990’s the company has grown phenomenally in the intervening years. The straight forward honest approach to business you would expect from a family run firm is still evident in Alutech’s philosophy and business practices today. Everything is designed with the customer in mind and Alutech work hard to set themselves apart from the other major European manufacturers. Product development and innovation is therefore high on the agenda and Alutech genuinely listen to feedback and constantly look to evolve and improve the design of their products. The future of timber garage doors is in good hands – Woodrite Doors! John Brooks formed Woodrite Doors in early 2010. 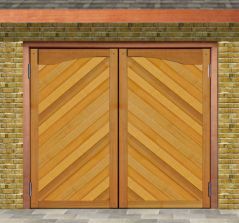 With over thirty years experience in all things garage doors and having run his own independent timber shop, the motto of “Good with Wood” was an obvious choice. John Brooks believes a good timber shop requires care – wood is a remarkably versatile material and with the right approach is unequalled. It is attention to detail that really makes the difference and with many years spent working with timber the team knows just what it takes to get things right first time. Whether working with Cedar, Oak or other classic hardwoods, each receives loving treatment to bring out the natural qualities. At Woodrite they care about quality and take pride in a job well done . Select was founded in 2000 and are now one of the UK’s leading manufactures of Side Hinged garage doors. 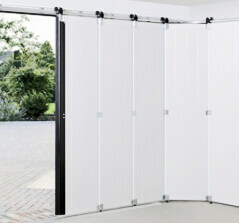 Their product list includes Up & Over garage doors, Personnel doors and door accessories. They have more than 20 different designs made from steel and GRP, which we produce in a range of colours and with a variety of window options to enhance the look of your garage door. To date, they have produced more than 40,000 bespoke garage doors to businesses across the nation. Select don’t mass produce standard size products. 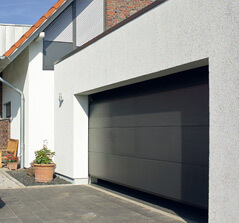 They produce high quality, made-to-order garage doors that cater to specific garage needs. They have a cutting-edge ethos, which means they are always in tune with developments in the industry and always looking for new ideas and materials to improve our product offering. Because Select manufacture all of our products here in the UK, there’s no waiting time for third-party suppliers, delivery stocks and international shipping, which makes them quicker and more efficient than most competitors.